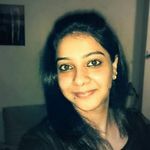 Car Flower Decoration Ideas for Your Wedding Car You Must Try Out | Wedding Tips ARE YOU A VENDOR? 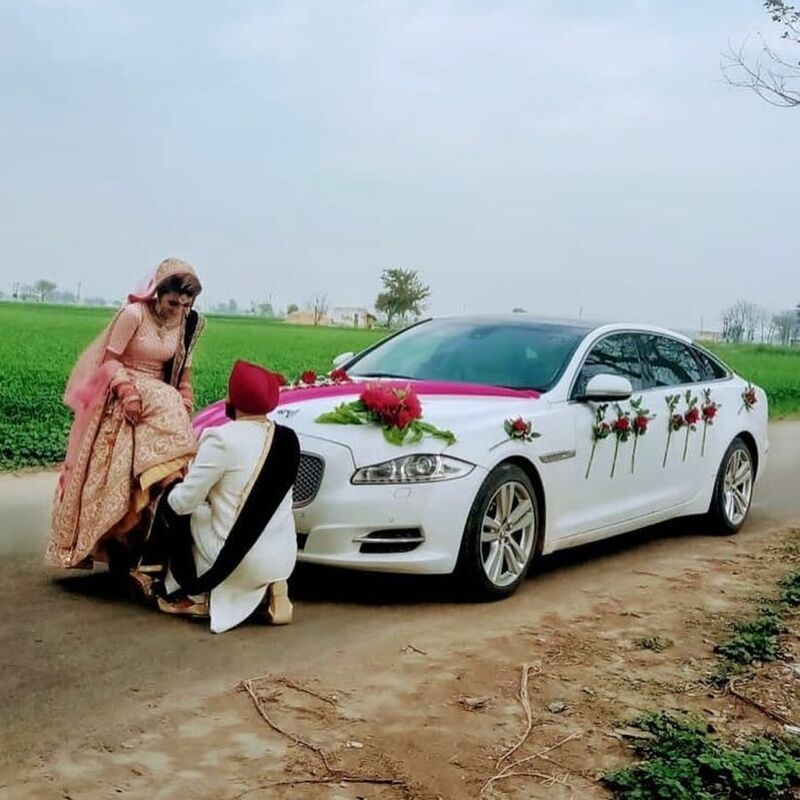 From a simple flower bouquet to elaborate decors, we share with you some stunning car flower decoration ideas for your wedding. Have you decided on your wedding car decor yet? Car decoration is an often neglected aspect of a wedding preparation. 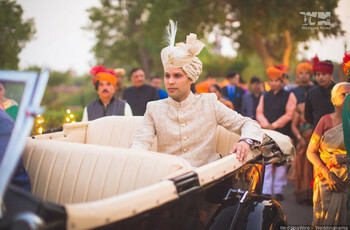 But, nevertheless is of paramount importance as it is the mode by which a bride makes a stylish exit from her home. The car is a crucial aspect of Vidaai ritual associated with most weddings, and hence, must be adorned in the most exquisite way as possible. 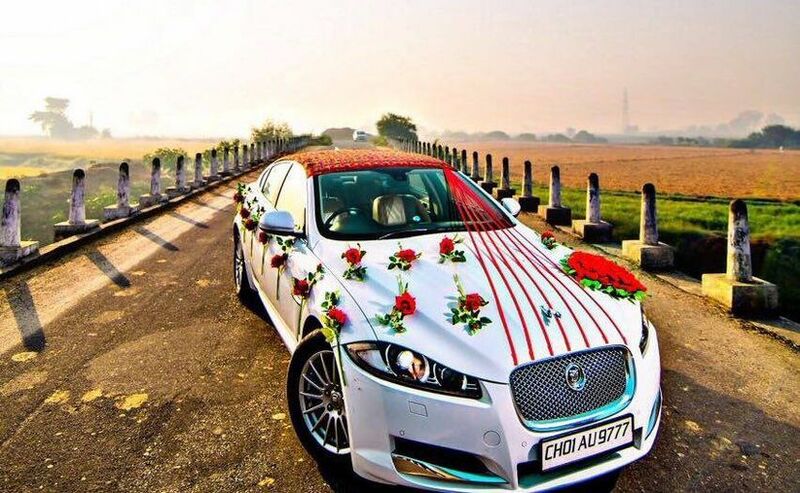 Look below to get some gorgeous ideas on wedding car flower decoration. A car can look glamorous with just a simple net bow with a floral bouquet. You don’t need to deck up your car with plushy accessories to stylise it. 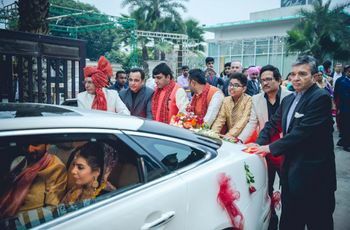 A simple and big net bow along with a matching floral bouquet at the centre of the car’s trunk will look tasteful and elegant. This type of car flower decoration suits folks that do like to keep everything simple. Decorate the bonnet with a pair of couple doll. Dress the dolls as per the wedding theme, and then team these up with matching flowers. Place two white dove figurines holding wedding rings along with a heart-shaped floral bouquet on the bonnet of your car. Do you want a simple yet cute car flower decoration idea? 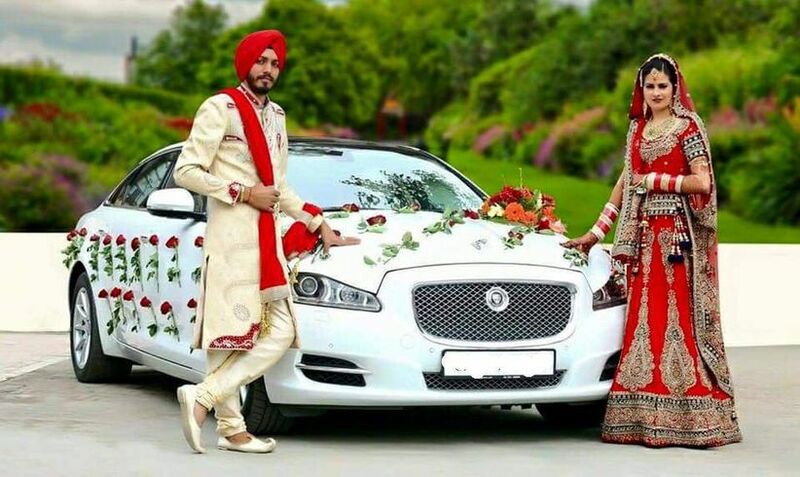 Well, deck the trunk of your car with a simple just married board along with flowers of your choice. This idea is pretty easy to incorporate and does not require you to spend big bucks. All you need to do is paint a wooden board with just married sign, and add a charming touch to it by placing a floral bouquet on the top. You can also team it up with cans and streamers. Are you a bride that does not like an extravagant show of flowers? If so, choose wreaths instead. For a subdued look, try decorating your car with a classy garland wreath or a cluster of small wreaths spread all over. You can add a hint of floral touch to the greens by using less bright flowers. 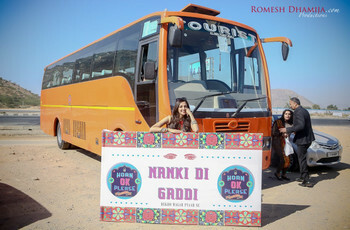 You can place a garland wreath on the trunk along with a just married board or banner or on the bonnet along with ribbons. Beads: If you are getting married traditionally, then your car door handle can be adorned with bead strings or malas. Flowers: Adorn with a cluster of flower bouquets. Ribbons: Deck the handles with ribbons matching the colour palette of the car decor. Bow: Pick a simple net bow and floral bouquet for your car door handle. Decorate your entire car with a net of marigold flowers. You can also pick red and white roses. Arrange multiple strings of flowers, covering the bonnet, top and the trunk of your car. Choose a combination of big and small flowers to make an impression. 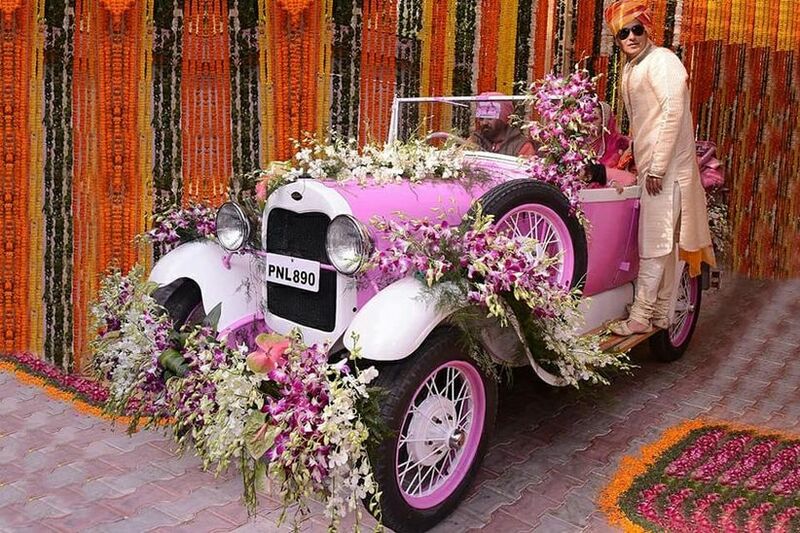 Choose a car flower decoration idea that celebrates the very essence of marriage. 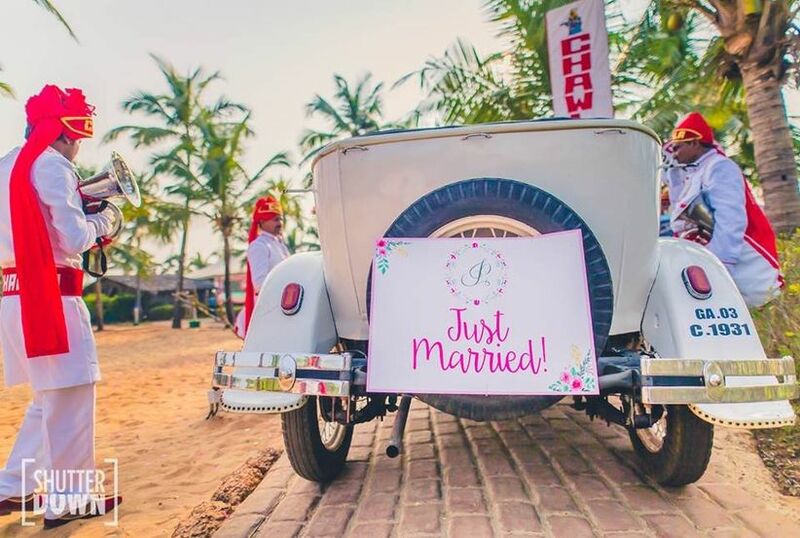 Yes, having a happily-ever-after board or a banner on your car is the perfect way to announce that you are in bliss and are ready to begin a new life. Banners look very trendy and are in vogue these days. Simply, team the banner or the board with a garland wreath or a floral bouquet. Single bouquet decoration is perfect for such people that love simplicity and do not like an extravagance. A single bouquet lends a very classy and sophisticated look to your wedding car. These can be hung either on the car’s bonnet or the trunk. If having a single bouquet sounds too minimalist, deck the other parts of the car with single flowers. Don’t overdo the decor by using ribbons and beads. With these beautiful car flower decoration ideas, you are bound to depart from your Maika in style. 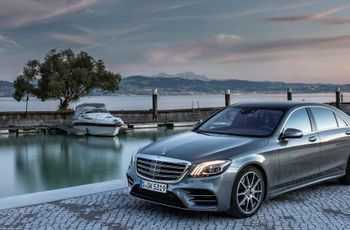 Pick whichever idea that you feel is correct and apt for your tastes, but make sure that you do not cover the windshield. Implement these car flower decoration ideas with the best of flower decorators in town.